I have to admit, I was highly sceptical about meditation before I started doing it. I never really considered myself to be a highly spiritual person, and I definitely do not always resonate with some of the spiritual ‘woo woo’ that comes along with it. But, as I studied high performers across all kinds of different industries, I found that the biggest majority of them meditated every single day. Thus, I decided to give it a go. A few years later, and I realize how wrong I was to be sceptical about meditation. Not only did I personally experience the life-changing benefits of meditation, but it has also been proven by hundreds of studies worldwide to be highly beneficial for your mental and physical health. Meditation is becoming more and more popular in modern society as stress, anxiety, overwhelm and information overload is on the rise — and people start to recognize that meditation is the near perfect antidote to these issues. In contrary to what some people think, meditation is not just some ‘feel good’ habit that is part of the ‘just think positive and everything will be alright’ movement. The benefits of meditation have actually been proven by hundreds of studies worldwide. Let’s dive into that right now! By consistently meditating for over a long period of time, you literally start to rewire your brain (!). A number of studies have linked meditation to differences in cortical thickness or density of grey matter in the brain. In other words, the brain literally changes because of meditation. One of the most well-known studies to show this was conducted by Sara Lazar from Harvard University. The process of rewiring the brain is called neuroplasticity, and it’s truly mind-blowing. 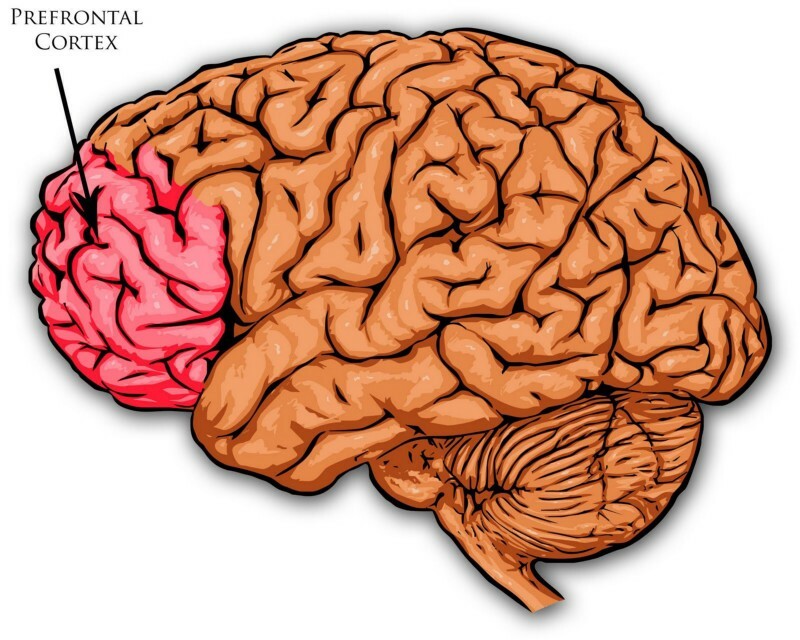 Neuroplasticity is stimulated by certain habits and activities, of which some have a destructive effect (such as alcohol, drugs and stress) while others have a positive effect on the brain (such as meditation, exercise and a healthy diet). Due to neuroplasticity you can literally improve your brain and thereby enhance your cognitive performance, such as improving your focus, self-discipline, emotion resilience, judgement and memory. In fact, meditation is shown to be correlated with increased grey matter in a few of the important areas of the brain. For example, research shows that meditation increases grey matter in the prefrontal cortex. The awesome thing about this is that the prefrontal cortex is responsible for your self-discipline, willpower, emotions, behaviour, judgement and attention — and our overall ability to make choices. In other words, we start to improve our cognitive performance because our prefrontal cortex is better equipped to do so. Just like you can get stronger muscles by going to the gym, you can get a ‘stronger’ prefrontal cortex by meditating. Non-meditators have brain activity associated with higher distraction, racing thoughts, more mind wandering and poor concentration. On the other hand, the brain activity of meditators correlates with present-moment focus, concentration, self-awareness, and self-control. Meditation literally rewires your brain in such a way that you’ll find it easier to be disciplined, focussed, self-aware and exercise self-control — and you’ll experience less mind wandering, distractions or racing thoughts. Besides increasing the grey matter in the prefrontal cortex, meditation also correlates with increased grey matter in the left hippocampus. 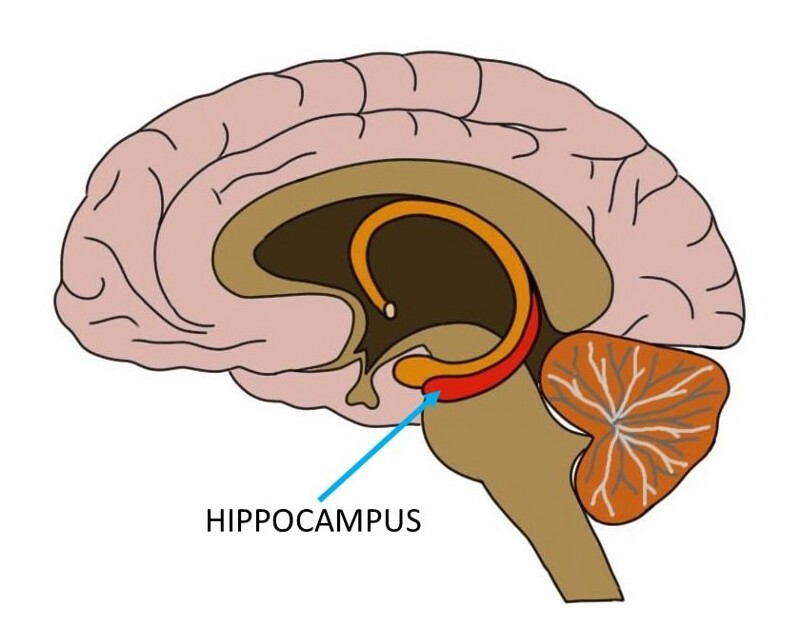 The left hippocampus is responsible for learning, memory and assists with emotional regulation. In other words, by meditating consistently you are actually training your left hippocampus, which helps you to learn faster, memorize more and have better control over your emotions. 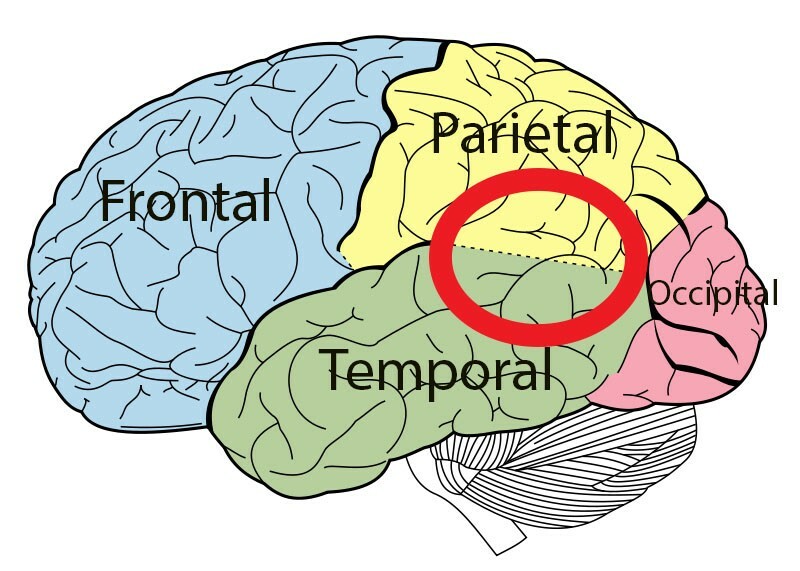 Another area of the brain that increases in grey matter due to meditation is the temporo-parietal junction, which is responsible for perspective taking, empathy and compassion. That’s why you hear meditators (including myself) claim these benefits of feeling more empathy and compassion, feeling more connected and being able to understand other people’s perspectives much better. It’s not because of some magical woo-woo stuff, it’s simply because the area in the brain responsible for these benefits has strengthened and improved due to meditation. Furthermore, meditation is shown to be correlated with a decrease in grey matter in the amygdala (the fight or flight response). It has been proven that there is a correlation between the amount of grey matter in the amygdala and the amount of stress people experience. 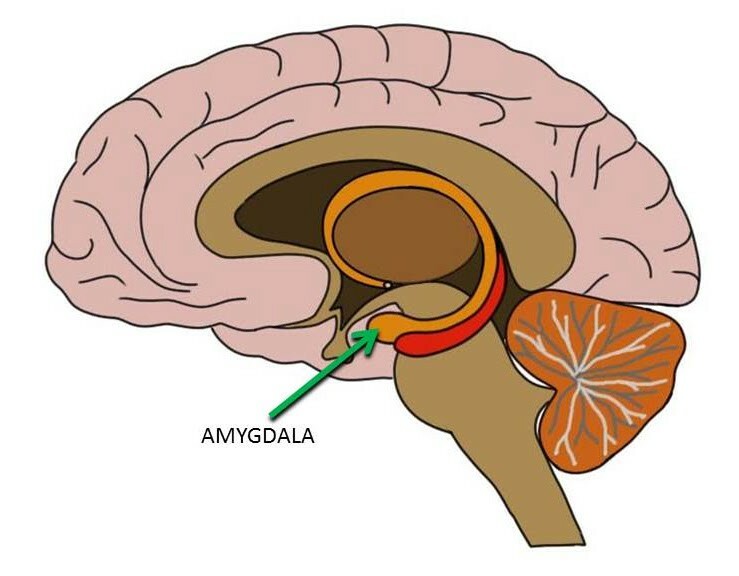 So, the less grey matter in the amygdala, the less stress people have. The more grey matter, the more stress experienced. That’s why many people report feeling less stress and anxiety after meditating for a consistent period of time. With all these wonderful benefits that come along with a consistent meditation practice, it’s time to start learning how to implement this habit in your day-to-day life. When you’re first starting out, I’d highly recommend you follow a guided meditation. This is exactly how I started meditating and I think everyone should start this way. I’ve seen way too many people around me try meditation on their own only to get frustrated simply because they didn’t really know what they were doing. Even though meditation is ‘just’ sitting still for a few minutes and focusing on the present moment, it’s still quite a difficult and new experience when you’re just starting out. Therefore, I’d highly recommend you start out by following a guided meditation. Guided meditations are essentially meditations where a voice guides you through the entire process. There are many different apps (such as Headspace, Omvana and Stop, Breathe & Think) that provide hundreds of different guided meditations, all with a specific purpose and a specific length. Or you simply type in ‘guided meditation on YouTube or Spotify. Most of the guided meditations are designed in such a way that they assist you in learning how to meditate. They tell you what to do with your mind, body and breath, so you won’t get lost. However, since that’s not the case for all guided meditations, I’ll quickly go through some guidelines that help you meditate on your own. This is the ‘ideal’ time to meditate (if you can even say something like that) if you want it to have a real impact on your brain. If you’re just starting out you can also go for 5–10 minutes the first few times just to get used to the habit. If you’re sloughed, chances are you might fall asleep or feel some pains and aches which will get you out of the present moment and can lead to more thoughts in your mind. I’ve experienced that an open posture usually leads to a calmer meditation, and I’ve heard many others claim the same. Don’t ask me why.. This will help you calm down faster and become less distracted. By focussing completely on your breath, you’ll start to calm down your mind. Simply follow your breath as you inhale and exhale. Try to focus on it for as long as you can. You’ll finally be able to experience silence in that busy mind where it always seems like rush hour in a big city. This well-deserved rest is what re-energizes the brain and improves your mental performance during the day. I can guarantee that thoughts will pop up during your meditation. Probably a lot more than you’d expect. This is completely normal, as your brain is simply designed to keep firing thoughts at you (for your survival and entertainment). So, when thoughts eventually pop up during your meditation, simply be aware of them and don’t get frustrated. Recognize that your mind has wandered off into the addictive space of thoughts, and calmly bring your attention back to your breath. This will help you get back to the present moment again. Yet, sometimes those thoughts seem to be popping up every single second and you might feel like you ‘wasted’ your entire meditation. That’s not the case. Apparently, your mind needed this moment in order to process past experiences. It’s a good thing because now you’ll have less mental clutter and more available space for focusing and thinking clearly. Also, many people believe meditation has to be done in a quiet and peaceful environment — and although it certainly helps, I don’t agree. ‘Real’ life is usually also busy, noisy or hectic and we need to learn to stay cool especially in those situations. It’s easy to stay present and calm when everything around you is quiet and peaceful, everybody can do that. The real ‘training’ is to stay calm, focussed and present when your external environment isn’t. It’s important to understand that the benefits of meditation aren’t necessarily noticeable right after or during your meditation (although they very well can be!). The most powerful effects are often noticeable only after a few weeks of consistent meditation. Rewiring your brain doesn’t happen overnight! So, these are all the basics you need in order to start meditating! Try it out for yourself for a period of at least a few weeks, and notice the differences in your mental performance (including your focus) and your emotional wellbeing. I recommend you download an app like Headspace, Omvana or any other app you’d like, and use their guided meditations to get started on the right foot. Ps. Meditation is just one habit in my empowering morning routine. If you want to learn more about elevating your performance, becoming more successful and having incredibly focussed & productive mornings, I recommend you check out Morning Ritual Mastery by my friend and mentor Stefan James!